LG Electronics rcently made out the official announcement about the details oftheir upcomming new dual-core smarphone ie Tegra 2 processor powered smartphone, named LG Optimus 2X.The new LG Optimus 2X Smartphone is the world’s first smartphone to housed with a high-performance dual-core processor.The LG OPTIMUS 2X was previousl named as LG Star. According to LG the new LG Optimus 2X smartphone comes available in two versions:LG SU660 version for South Korean market featuring T-DMB and the LG P990 version for other markets.The new LG Optimus 2X smartphone is expected to arrive early 2011 in Korean market and after that in other European and Asian markets. 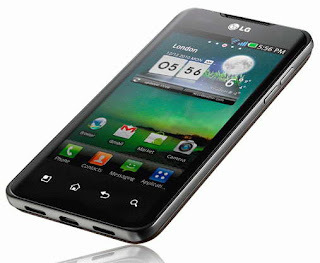 The new upcomming LG Optimus 2X smartphone comes equipped with a 4-inch touchscreen display with 480 x 800 pixel (WVGA) resolution and is powered with 1Ghz Dual-core ie NVIDIA Tegra 2 Processor.Optimus 2X smartphone runs on Android 2.2 Froyo OS which can be upgraded to the Android 2.3 Gingerbread OS. The LG Optimus 2X dual-core smartphone Features 8 megapixel rear camera with Full HD (1920 x 1080 pixels) video recording capability, 1.3MP front-facing camera for video calls, Wi-Fi, Bluetooth, GPS, gyroscope, accelerometer, HDMI output, 1080p MPEG-4/H.264 playback and recording.About memory: LG Optimus 2X smartphone has 8GB internal memory and a microSD / microSDHC card slot that supports up to 32GB card. 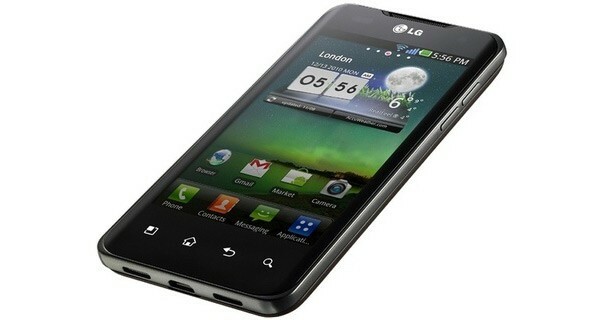 About Price: The price details of both LG Optimus 2X models not revealed at the moment. Tags:-LG dual-core smartphone, first dual-core smartphone details, , dual-core smartphone details, LG Optimus 2X dual-core smartphone features, LG Optimus 2X dual-core smartphone images, LG Optimus 2X dual-core smartphone detailed review, LG Optimus 2X dual-core smartphone camera, LG Optimus 2X dual-core smartphone price, LG Optimus 2X dual-core smartphone launch, LG Optimus 2X dual-core smartphone memory, LG Optimus 2X dual-core smartphone latest updates, LG Optimus 2X , dual-core smartphone launch.